The importance of good posture cannot be overestimated. Posture is defined as the position in which we hold our body when standing, sitting and sleeping. Here at HSL we have made it our mission to help you understand the impact of poor posture, and the steps that can be taken to help improve it. 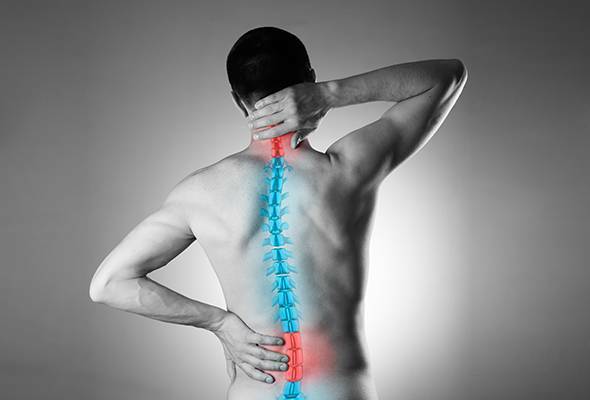 Research has found that back pain is a leading cause of disability, with 1 in 10 people suffering from it. This figure substantially increases with age; a recent YouGov survey found that well over half (57%) of adults, aged 60+ have constant/ongoing aches and pains; of those who suffered, 60% experience pain in their back. When you slouch so does your spine, which can have an impact on your body’s circulation system, making it harder to breathe and move about. Poor posture can cause your spine to deteriorate over time, leading to neck, back and shoulder pains, which in turn can cause headaches. Poor posture will put extra strain and demand on your joints and muscles, leading to fatigue; coupled with poor circulation, where the body does not get enough oxygen, muscles and joints are more easily damaged and less likely to repair well. A significant impact of poor posture can be loss of movement; all your joints have a range of motion that they are capable of, allowing you to move your body flexibly and respond to the activities of daily living. Poor posture prevents the normal range of motion from occurring, which, over time, will lead to muscle and joint deterioration and a reduction in movement. As a nation, weight issues are becoming more common and as we get older, we tend to put on more weight through natural body and lifestyle changes, and reduced activity. Weight gain changes how our skeleton and muscles support themselves, which in turn affects our centre of gravity. Having poor posture can lead to a loss of independence over time. Increased aches and pains, damaged muscles and joints, poor circulation and reduced activity, plus increased weight gain can lead to additional health problems and increased risk of accident, such as falls, leading to injury. Keeping your weight down can do wonders for improving your posture. Exercise (even gentle) is good for strengthening muscles and encouraging good range of motion in your joints, try to do a mixture of cardio (encouraging deep breathing) and weight bearing (strengthens and tones muscles) – 20 minutes per day is ideal. Practising sitting and walking properly will make sure good posture becomes part of your natural habit. Making small changes can reap huge rewards in your general health and well-being. The mind-set of having great posture is always at the forefront of our thinking here at HSL, and that’s why our Comfort Specialists in store have been trained by our Occupational Therapist, Julie Jennings,Dip COT HCPC, and will do a 7-Point Seating Assessment™ before advising you on the right CleverComfort™ designed chair, sofa or bed for you.